I know, I haven’t had much time lately for a decent devotional but I will get cracking eventually. Right now I’m reading many books of Deliverance and Healing. 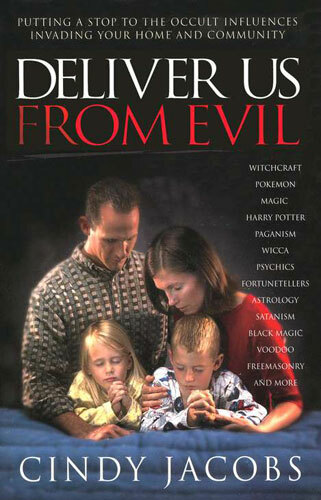 I just finished reading Cindy Jacobs book called Deliver Us From Evil. Let me tell you that that book is phenomenal! It is eye opening and I will definitely recommend it here for y’all to go pick it up in your Christian book store. It is one book that was mentioned in Rebecca Greenwood’s book Let Our Children Go! if you read my previous post called War- Ship We will sing songs of Deliverance. Cindy Jacobs does in an in depth analysis of different occultic practices that are infiltrating in the subtle activities that our children are engaging themselves in presently and confronts issues with witchcraft practices subtly being introduced through movies, music , cartoons and video games. I would read it along with Rebecca’s book since it reveals a little bit more of certain things we take for granted like reading horoscopes and the like. It’s opened up my eyes and some things you may not have even considered to be occultic leads you to repent about it. 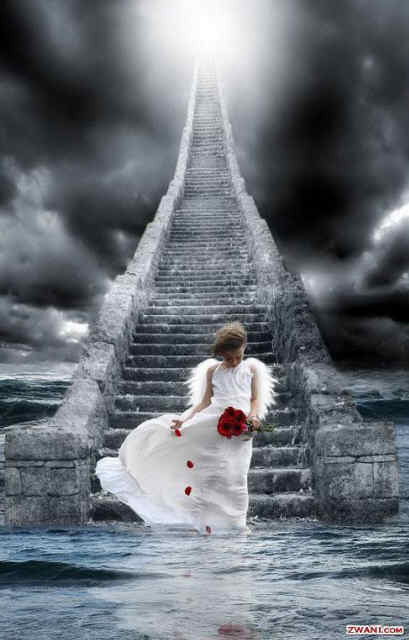 For example thoughts about reincarnation…as subtle as it is, it is something like that which is what I consider to be a vain imagination that needs to be repented about if you engage is such thoughts. 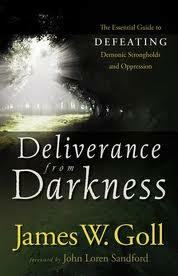 Cindy Jacobs also explains things a little more intricately in her book and of course there are more books to discover on the topic of deliverance. 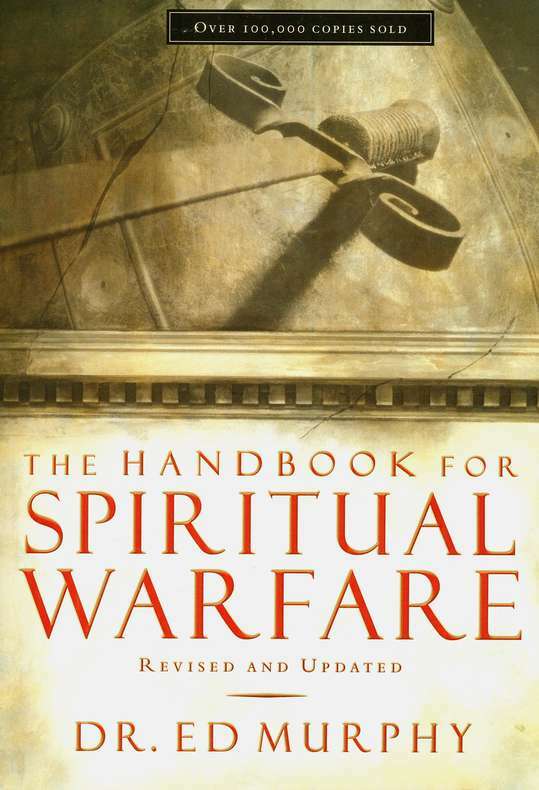 In fact, if you’re serious, I totally recommend another book called The Handbook for Spiritual Warfare by Dr. Ed Murphy. It’s about 600+ pages but it’s awesome and I consider it to be an easy read. Actually, I have many books to recommend, but I won’t over-burden y’all with my book recommendations if you’re not interested in spiritual warfare, healing and deliverance ministry. If you are, I’ll probably make a special post just for book recommendations and probably do some book reviews periodically. I’ve been thinking about it for a while but everything depends on peoples level of interest on the topic so it’s just food for thought in terms of future posts. I typically recommend books I’ve read mostly or have heard was really good by others who have read the book that they recommend to me to read. I prefer recommending books I’ve read though, so that’s what I will probably do for now. Have an Amazing day Everybody! God Bless y’all! He is the Way, the Life, and the Truth! Against Him no evil can stand! Lol Margaret! I was actually thinking of commenting on your post. There are many books I’ve read. The ones I posted I’ve already read with the exception of James Goll’s book which I’ve read half way through. I can read 200pages in a 2 to 3hr sitting provided that it’s captivating and interesting, I just have been busy lately. I’m glad you interest has piqued. This further encourages me to write more as I continue to study. Knowledge is out there but very people value it and those that pursue it, increase in wisdom.